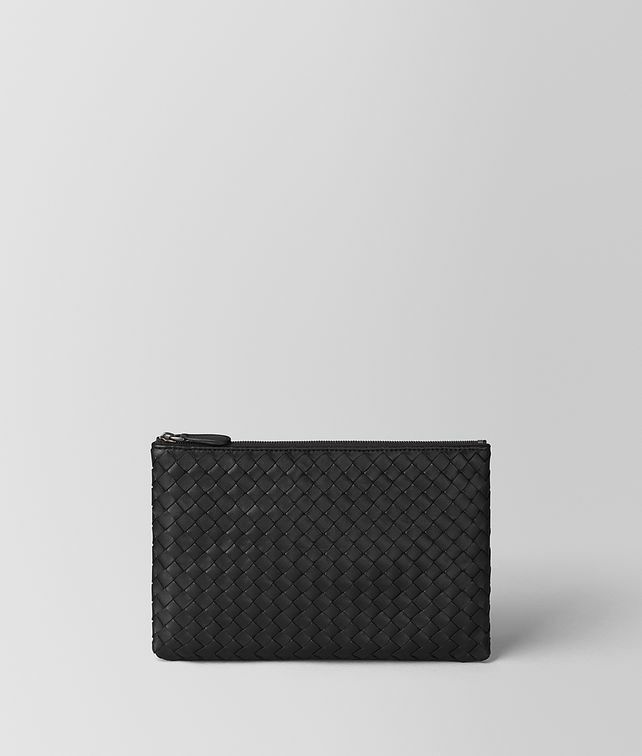 This beautifully realized pouch is made from soft Nappa leather, woven entirely by hand in iconic intrecciato. Its streamlined silhouette is complete with a secure leather zip pull for effortless stowing and carrying. Height: 15 cm | 6"
Width: 22 cm | 8.7"
Depth: .5 cm | 0.2"